Natural landscaping can conserve water and improve water quality. Methods include: retaining or increasing the use of native plants, improving soil fertility naturally, reducing the use of fertilizers and pesticides, ensuring plant health, using drought tolerant plants, and planting a buffer to protect streams, lakes and marine shorelines. 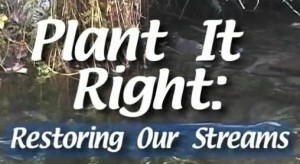 Video: Plant it Right – Restoring Our Streams – A 17-minute video showing how to plant a tree correctly, especially for stream restoration projects. Drought Tolerant Landscaping for Washington State – New in 2015, a 19-page resource to help homeowners create a drought-tolerant landscape. Grow Your Own Native Landscape: A Guide to Identifying, Propagating & Landscaping with Western WA Native plants – A 124 page book with line illustrations. Complete descriptions of native plants including habitat, advantages or disadvantages in the garden, methods of propagation and salvaging. Available to download for a fee or purchase a hardcopy. Landscaping with Native Plants in the Inland Northwest – Describes landscape plant materials you can use in eastern Washington, eastern Oregon and northern Idaho. 107 pages. 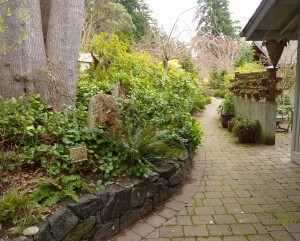 Gardening in Washington State – Website covering all aspects of home gardening. 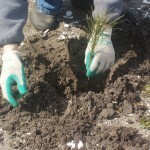 Planting Trees and Shrubs in the Landscape – How to ensure trees and shrubs will thrive in your landscape. WSU Integrated Pest Management and Pesticide Safety – Workshops, training and recertification website. Hortsense – Website with fact sheets on all types of home gardening pest or disease problems. Backyard Composting – How to make and use compost in your yard. Includes troubleshooting. Phosphorus and Home Lawns: Quick Facts and Recommendations – How to apply lawn fertilizers to avoid causing water pollution.